All Star Lighting Solutions - Electrician based in Basingstoke, Hampshire. Hello and welcome to our Checkatrade page. 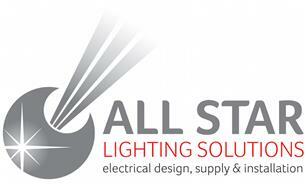 All Star Lighting Solutions is a family run, independently owned Basingstoke based company with over 20 years experience providing electrical services, and lighting solutions to domestic, commercial, and industrial sectors . Our business philosophy is to provide quality electrical services at competitive prices, and we are proud to be accredited by the ECA and ELECSA. This means our standards of workmanship, and customer service meet and exceed the requirements of this scheme and shows our commitment to quality and high standards. No job is too small, and we are always happy to help so please feel free to contact us if you have any questions, or to arrange a free no obligation.